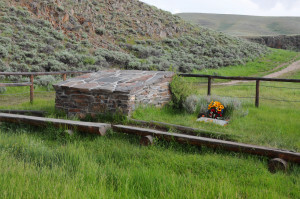 Although used by many travelers on the California, Mormon, and Pony Express Trails, the site known as Rock Creek Hollow is best known as the camp where the James Willie Handcart Company stayed, suffering from exhaustion, cold and hunger on October 23-24, 1856. Rock Creek Hollow. Photo by Kenneth Mays. 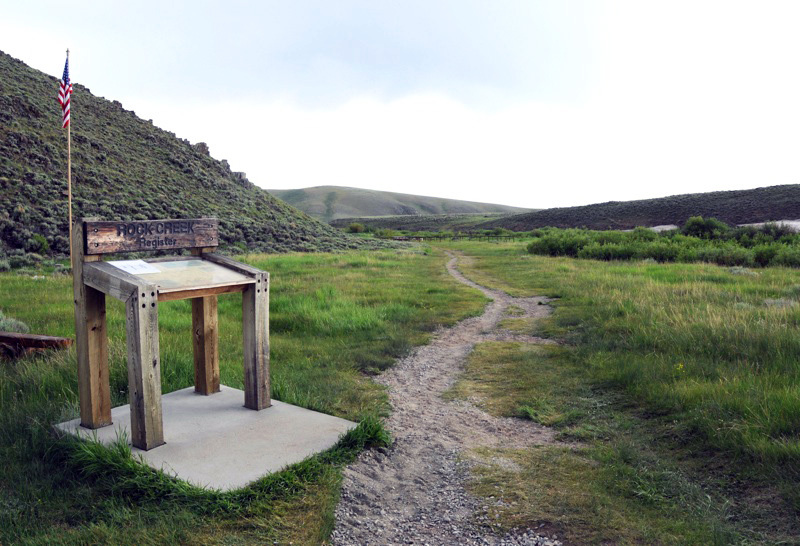 This site is situated at the western end of the trail that ascends over Rocky Ridge, one of the highest points on the Mormon Pioneer Trail. 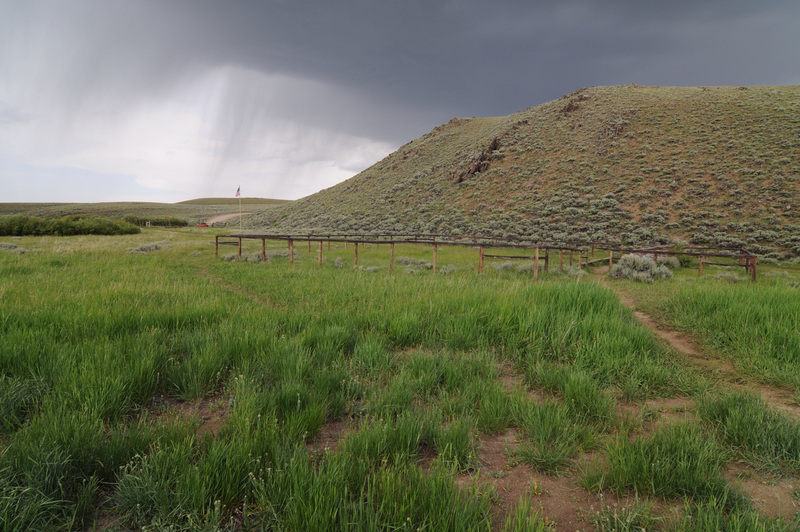 It is about seven miles south of Atlantic City, Fremont County, Wyoming. The Saints in the Willie Company crossed this difficult stretch in the most adverse conditions of a blizzard that continued on for many hours, even days. 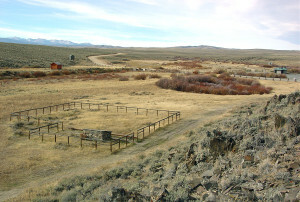 Rock Creek Hollow with the site of the mass grave within the fence. Photo by Kenneth Mays. The suffering travelers finally arrived at Rock Creek and did their best to set up camp. 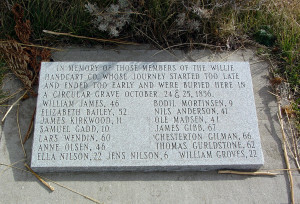 During the time they camped there, at least thirteen souls died and were buried in a mass grave. The heroism of even young boys and girls such as Bodil Mortensen and James Kirkwood is touching and should never be forgotten. 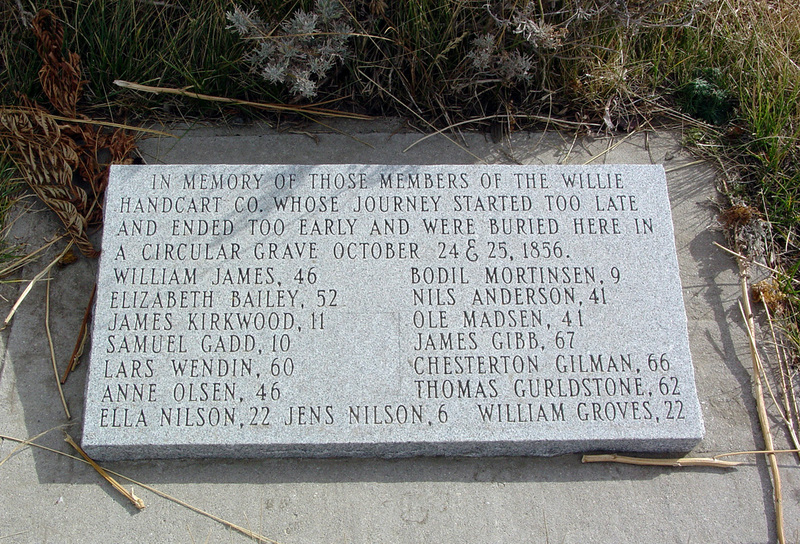 Commemorative plaque listing those of the Willie Company who were buried in the mass grave at Rock Creek. Photo by Kenneth Mays. Rock Creek Hollow was acquired over a long period of time through the leadership and inspiration of Robert Scott Lorimer, former president of the Riverton, Wyoming Stake. President Lorimer did much to initiate what has come to be known as the “second rescue,” or researching the names of the handcart saints and seeing to it that their temple work was completed. Because of his years of service in this connection, President Larimer was awarded the Junius F. Wells Award by the Mormon Historic Sites Foundation. His efforts were continually approved and encouraged by President Gordon B. Hinckley of the First Presidency. 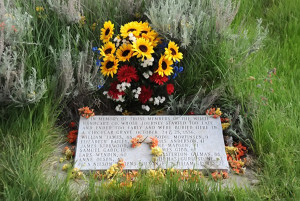 President Hinckley considered the site of Rock Creek to be holy ground and was known to become emotional at this and other sites in the area. 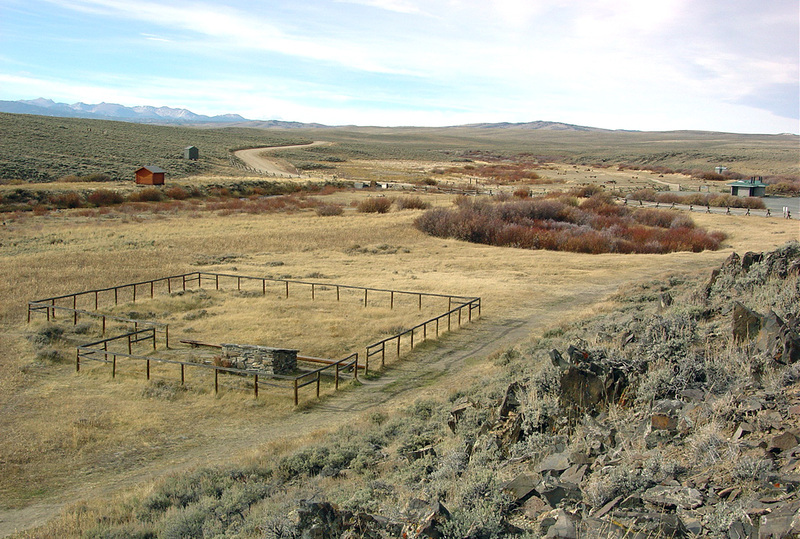 Rock Creek Hollow is about seven miles SE of the little town of Atlantic City, Fremont County, Wyoming (82520). From the town, drive south on Riverview Cutoff to Lewiston Road. Turn southeast (left) to the site. 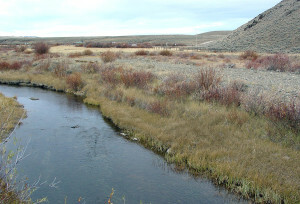 The is a campground on the left where one will find Rock Creek Hollow on the right. Rock Creek Hollow, one of several Mormon Handcart Historic Sites, is owned and operated as a Church Historic Site by the Church of Jesus Christ of Latter-day Saints. It is open to the public with no admission charge. View of Rock Creek Hollow. Photo by Kenneth Mays. 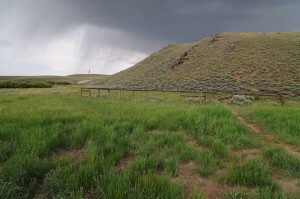 View of Rock Creek Hollow and the monument dedicated to those of the Willie Company who died there. Photo by Kenneth Mays. LaMar C. Berrett, ed., Sacred Places, Volume Six, Wyoming and Utah, 102-105. “The Second Rescue: In Search of the Martin and Willie Companies Once Again,” video produced by the Mormon Historic Sites Foundation and History of the Saints, Inc.